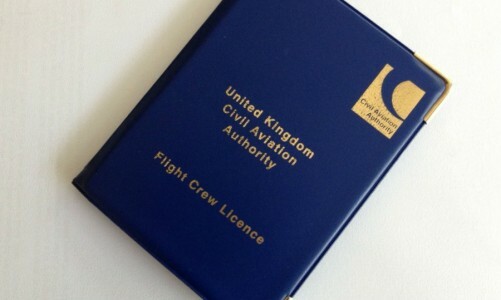 Most people do this the other way around – training and passing the FAA IR and then adding or converting this onto an EASA licence. Since 2014 requires taking a skill test including an oral questioning but no theory exams. Sorting out the paperwork does take sometime though. However, before I visited the FSDO, I would have to take and pass the “Instrument – Foreign Pilot” exam. This is a 50 question multiple choice exam with a time limit of 2h30 covering most of the syllabus of the FAA Instrument Rating. The UK system of booking IR exams involves fixed dates every 2 months, requesting a place weeks in advance, having to sit them at Gatwick (recently expanded to 4 locations), then wait 3 weeks for the results. By contrast, I could just walk in to any approved test centre in the US (there are hundreds), take the exam on the spot and be given the results immediately. The test fees are also significantly lower (by a factor of 5). I discussed this with Cactus flight school at Henderson airport, which is an approved LaserGrade test centre. They weren’t familiar with this particular exam (Instrument Rating – Foreign Pilot, IFP) and had to check the pre-requisites. There’s no need for any sign-off/endorsement by an instructor (unless you fail and need to retake it). The content is a subset of the full FAA Instrument Rating theory knowledge – 50 questions instead of 60. I believe it would be possible for me to take the full FAA IR theory exam and this would be noted on my record should I ever want to work towards a completely separate FAA licence. But I’m not certain this option is accepted so I thought I’d keep it simple and reduce the risk of failing or a paperwork trip up. Time was short to brush up on the knowledge. Rich, one of my co-owners, spurred me into action and encouraged me to go for it. With about 2 weeks to go, I spent about an hour per evening working through the question bank (approx 1000 questions) using aviationexam.com and another iPad app (Prepware). At the outset, I was getting about 60%, but after a bit of work, this was regularly over 80%. The passmark is 70%. Unlike the full FAA IR, there’s no benefit of getting a higher mark – in the full IR, you have an oral with the examiner before you go flying. This can take many hours and they focus on those sections of the theory exam you did poorly in. The FAA publish all of the questions they might ask together with related diagrams and illustrations. When I turned up to take the exam, the receptionist/office administrator (who acts as the proctor – in the UK we’d use the term invigilator) took my details and photocopied my ID (you need two forms of photo ID plus your pilot certificate), accepted payment in advance and sat me down for a few minutes while she set everything up. I had to hand over all my personal gadgets, including Phone, iPad and even take off my wristwatch. I was allowed to retain my passport and wallet, otherwise I would have felt like I’d been mugged. I was then led into the test room which had a desk, computer screen/keyboard, a couple of printed books with the reference illustrations (eg plates, VOR indicators etc used in the questions), scrap paper, calculator and pen. A video camera is positioned high up and records the entire examination. The computer double checked my ID details (as a foreigner, I used date of birth instead of Social Security number). I worked through a few practice questions to allow me to familiarise myself with the system, then was left on my own to complete the test. Two hours 30 minutes are allowed for the 50 questions. My practice test sessions probably took around 30 minutes, but I was as thorough and cautious as I could be, so it took about an hour. I recalled many of the questions from the practice programs and those were quickly dealt with. A couple were new to me, including one on GPS approaches (but trivial to answer). I whizzed through the ones I knew the answers to, then revisited those I was unsure of. I was pretty confident of having passed, since there were only 8-10 questions I wasn’t 100% immediately able to answer. I had decided to ignore those requiring the CRB slide rule to calculate Plog headings and journey times. Nobody uses these techniques in the real-world anymore, and the 1-2 questions wouldn’t significantly impact the result. Just as I was finishing my last pass through to double check my answers, the computer crashed. The proctor came and restarted the system, and I was pleased it hadn’t lost any of my work. On finishing, the proctor came back again, pressed a couple of buttons and bingo – my result was 88%, a good pass. She printed out and validated the result certificate and I was good to go. The next step involves a personal visit to the FSDO, where I was encouraged to bring all relevant documentation. I ensured I had two forms of photo ID, US pilot certificate, EASA pilot licence, medical (don’t need an FAA one because this is not a standalone FAA certificate), theory test examination result, verification letter and an application form for the IR rating itself. I was advised not to bother filling in any of the boxes for flight time, and leave blank anything I was uncertain of. The visit itself was fairly painless and (unlike the UK CAA) completely free of charge. The inspector retained my current plastic FAA pilot certificate, verification letter, theory test certificate and application form. He issued and signed a temporary pilot certificate on paper with the IR included (valid for 120 days), making sure I signed both copies as well. A proper plastic one will follow up from Oklahoma in the next 6 weeks or so. He took my email address in case of any paperwork hiccups at head office – something that’s apparently not uncommon with foreign pilot applications. I confirmed that I didn’t need an Instrument Proficiency Check and just needed to be current by having completed six approaches, a hold and tracking within the previous six months of any real IFR flight. This can be in real IMC or practicing in VFR under the hood with a safety pilot. If out of FAA IFR currency for more than twelve months, I’d need to take an IPC with a CFII but would never need to fly with an FAA examiner at all. My EASA IR needs to be valid too, but the EASA revalidation check doesn’t itself reset FAA IR currency. So after all this, I am now legal to fly IFR in an N-reg aircraft anywhere worldwide. This includes N-Reg aircraft in Europe, where dual EASA/FAA pilot papers are mandated from April 2015 (expected to be deferred to April 2016).